Are you a NYC area based business owner and you need some fresh NYC Overhead Garage Door ideas to make your space pop? Many business owners fail to consider how a nice looking garage door may really bring things together aesthetically. They don’t have to be what you see on the side of someone’s home – in fact, there are many different styles available. Whether you’re looking for something rustic and old, or new, sleek, and modern, there’s something out there that’s perfect. Here are some of the options that you can choose from. Looking to Have an NYC Overhead Garage Door Installed? There are many things to consider before you just get NYC garage doors installed. What will it’s purpose be? What look are you trying to go for? What is the overall aesthetic of your location? With these things in mind and hand from a professional, there’s no doubt you’ll make the perfect choice. These two materials are very similar with the primary difference coming in their weight. Steel is more durable and heavier while aluminum is a bit lighter and less durable. As a result, manually working with steel will be a bit harder than it would be with aluminum and it will also wear on the pulley mechanism a bit more. There are many customization options available for both styles as well. These doors are usually perfect for actual use as a garage door and generally run a bit cheaper than other options. If you’re going for an old rustic look of some kind and have a few bucks to spend, this may be right for you. Wood has a certain feel to it that can’t be matched by any other type of NYC garage doors. They work well as more decorative and for use inside than as an actual garage door and may be perfect for your business. Glass is growing in popularity and for one major reason – it looks good! It works really well to double as a form of large, swinging window that a restaurant may have open in nice weather. The glass is durable and tempered so you won’t have to worry about any nonsense there. It has a beautiful, modern look to it and may be perfect to finish off your commercial space. Do You Need NYC Garage Doors Repair? We all know the saying “if it’s not broken don’t fix it!” Well, in this case, even if it isn’t broken, you’re going to want to do regular maintenance! Otherwise you may be facing a NYC Garage Door Repair. You want to stay ahead of the issues rather than always a step behind. If you do need a repair it’s best to call a professional but here are some tips. Although we hold much faith in your do it yourself skills, we want to be sure of your safety. Nobody wants to spend their day in the ER and come home to a broken garage door still in need of fixing. If you still want to proceed with handling your NYC Garage doors repair Repair, then be sure to watch videos, and follow all directions to the t.
Are You Interested in a new NYC Overhead Garage Door? 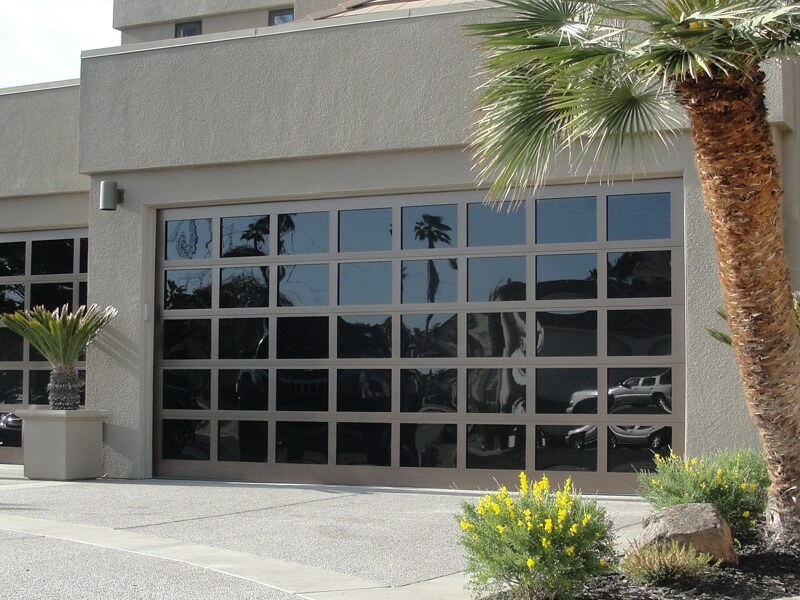 Whether you need actual, functioning NYC garage doors or more of a decoration, Advanced Door can supply what you need. They have worked with integrity and a strong work ethic since 1998 to become known as “The Professional Garage Door Company.” For information on their services or a free estimate, contact them today!